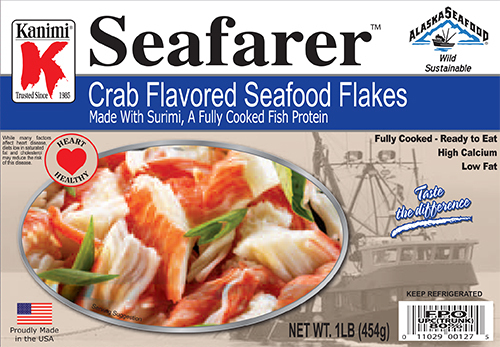 Shining Ocean produces the highest quality surimi seafood products. You can taste the difference. Made from all wild caught sustainable and MSC certified Alaskan Pollock and Pacific Whiting, our products come in a variety of forms. The latest addition to our popular Seafarer product line is Seafarer Treasures, an exciting new gluten-free retail option full of healthy, high quality ingredients. The Seafarer brand is Shining Ocean's most popular product line. It has been a shining success story for more than twenty years. 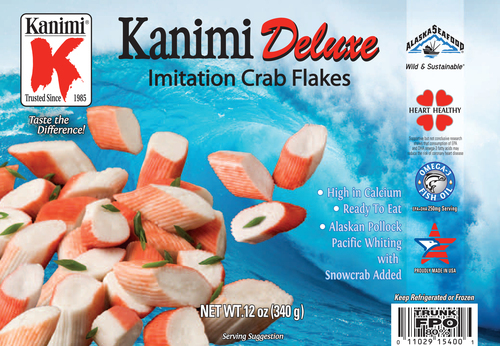 Kanimi is the most trusted name in surimi seafood. Shining Ocean's original product line, the word Kanimi comes from the Japanese word kanimi, or crab, and signifies the taste of crab. 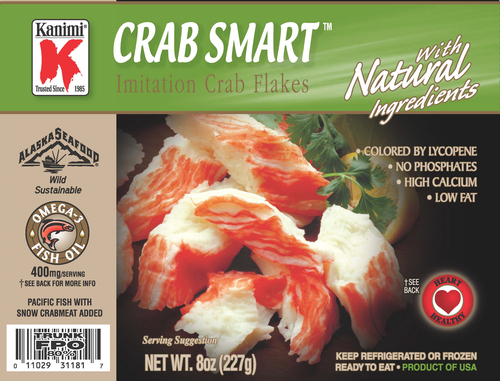 Crab Smart with Natural Ingredients is Shining Ocean's flagship retail product. 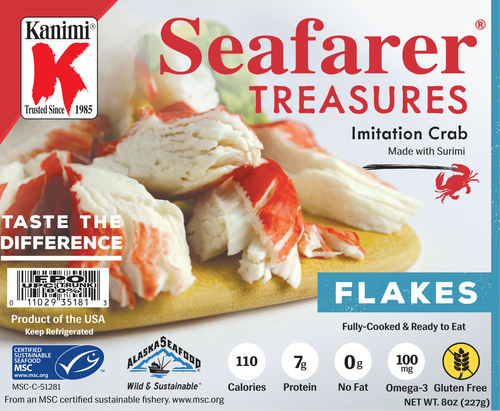 Building on the success of the Crab Smart product line, the Crab Smart with Natural Ingredients is the industry standard for high quality, healthy, sustainable surimi seafood.